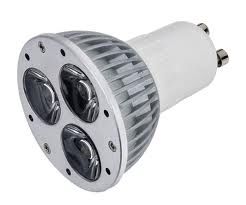 Ideally the simplest way of reducing lighting costs with downlights would be to replace the inefficient halogen globe with an efficient compact fluorescent (CFL) or LED globe (although the problems with heat loss and multitude of fittings still remain). Downligths come as 12 or 240 volt, the type must first be identified (majority of downligths are 12 volt). Here is a guide to determine which voltage you have. Direct globe replacement is straight forward. 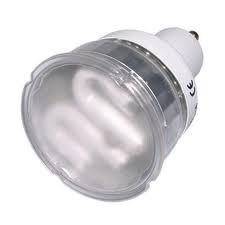 Replace with a CFL or LED globe marked as 240 volt or GU10. The simplest option is to replace the standard 50watt dichroic MR 16 globe with a more efficient halogen globe such as an IRC globe (eg. 20 watt Phillips ES - LV halogen IRC halogen globe). These globes can immediately replace any halogen globe and reduce lighting energy requrirements plus reduce fire risk as they produce much less heat than standard halogen globes (light is equivalent to a 35 watt standard halogen). They go some way to reducing lighting costs, but still retain problems of air leakage and number of fittings etc. Remove the downlight altogether and refitting with appropriate surface mounted fittings and task lighting. Safety hint: While replacing halogen globes with energy efficient globes eliminates the high temperatures generated by halgen globes and theoretically allows you to reduce the gap in the insualtion up to the fitting itself, there is always the possibility that someone in the future may reinstall a halogen globe! Standard T8 36 watt light globes can be replaced with more efficienct T5 globes. However the starter of the T8 fitting is removed and an adaptor is fitted to the T5 globes. See table of efficient globes for retalers of various globes.